GCTA takes pride in providing you and your company with everything you need to make your next Event or Tournament be the best it can be. We offer a tailored solution for all of our customers and are capable of handling the smallest and largest requests. GCTA offers several standard services key to the success of every event or tournament. We want to be your Turn-Key Provider for your next Event or Tournament. Please contact us directly for more information about these and other services. We have the best tournament scales on the market. 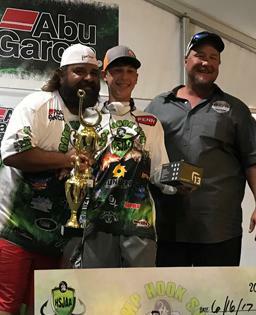 GCTA uses Pro Tournament Scales Professional Equipment for Professional Tournaments. All of our scales are state certified. If you need to rent our scales we will walk you through the setup and care of the scale so that you are ready to go. WE have LED scale read outs which are also from Pro Tournament Scales. We can provide you and your company with Wired and Wireless LED weight boards. We suggest using the Wireless LED read outs as you can charge them and place them anywhere. GCTA uses Taskys Pro Tournament Choice Tournament software for all of our tournaments. What this means is that our Scales, LED read outs and the software all communicate together providing real time read outs of weights coming in as well as complete synchronization with our software to ensure accurate tracking and placement. GCTA offers Event Trailer rental which includes our 38ft mobile event trailer featuring a 16ft x 12ft fold down stage as well as an office which can be used to manage registrations and other event information. GCTA offers our custom presenter podium. The podium is designed to conduct all weigh in's and awards. 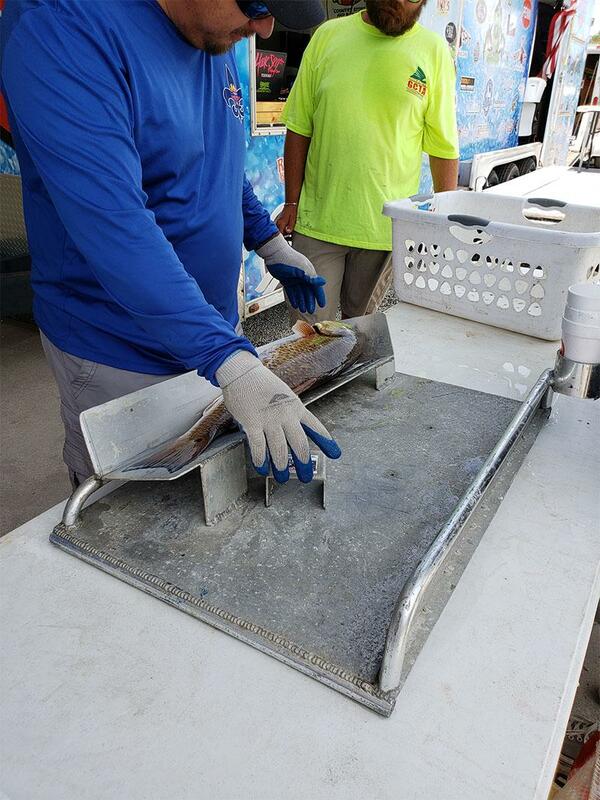 GCTA only uses Check It Stick for all of its fish measuring needs at our Measuring and Bump Station. In addition to our standard services, we also offer custom tailored solutions for each event or tournament. Some of these services are listed below. If you would like more information about them, please contact us directly. GCTA offers complete custom graphics services. This includes custom apparel, banners, flyers, brochures, cards and any other promotional items you can imagine. GCTA offers custom award, trophies and payout checks for your next event or tournament. GCTA offers custom rods specifically made for your Event or Tournament. These rods can be designed to mimic the look, feel and action of one of your favorite Hook Spit Performance Rods while giving it a unique look specific to your company, event or tournament. GCTA offers custom catering solutions to meet your companies needs. GCTA offers complete Social Media Engagement for your event. 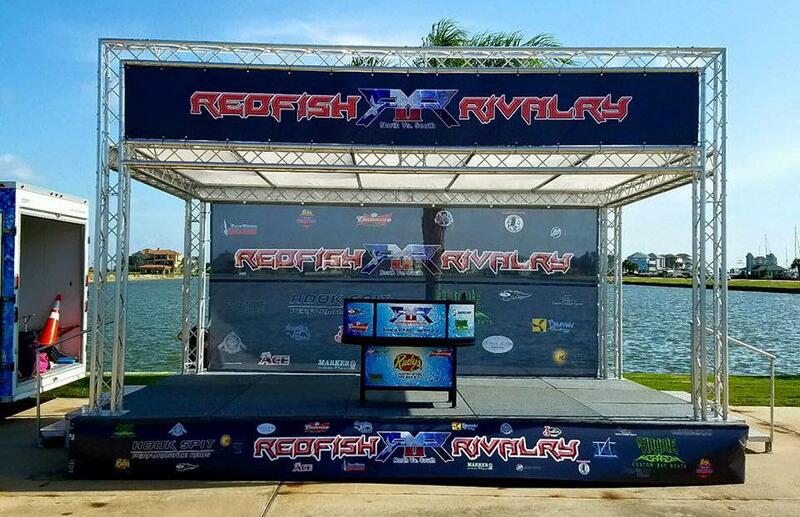 This includes Social Media broadcasting of the Pre-Tournament, Weigh In and Post Tournament as well as Photos and Videos throughout the event which can be turned over to your marketing team or published directly to your favorite Social Media Channels. GCTA offers custom, online registration and payment processing for your event and tournament. This includes building custom registration forms specific to your event, collecting payment for the events and sending you detailed registration information. GCTA offers each client with a One-Page listing on our website that features information about the tournament as well as links to yours or our registration pages. This also includes photos and videos from your event as well as your event results. These pages can be elaborated on. Please contact us directly for more information. Gulf Coast Tournament Association can handle every angle for your next event with the professionalism that you should demand. The STRESS level is nowhere to be found when you hire GCTA.